Saving Star: Save 20% off on Bananas! I'm loving these saving star weekly healthy offers! In case you missed it, these offers are now valid at Price Chopper. 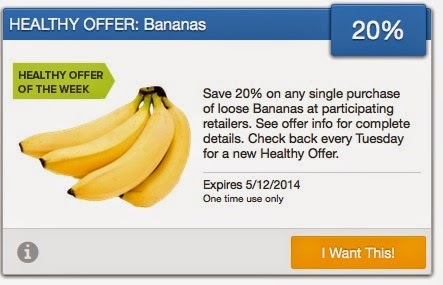 There is a $0.50/1 Bananas Checkout51 offer available thru 5/7 to combine w/ the 20% off!